What is low&dash;level laser doing? Low&dash;level laser therapy is a therapeutic strategy that addresses a particular medical ailment in a diverse and multifactorial manner. Laser therapy is not a unilateral tool, it does not simply suppress pain nor does it just increase range of motion, it restores functionality and improves quality of life by resolving all underlining causes. For instance, shoulder pain generally arises from a single traumatic event, and as a means to prevent aggravation of the injured tissue your body will restrict movement, decreasing neuropeptide release and restricting blood and oxygen flow along the injured site. Laser therapy, by stimulating both the nervous system and site of tissue injury, has been clinically proven to suppress inflammation, increase oxygen and blood flow, promote muscle calcium uptake, and increase neurotransmitter release. By addressing the injury with a diverse tool it is possible to resolve the condition more effectively by suppressing not one contributor but all contributors. Low&dash;level laser therapy operates under a principle of science known as photochemistry, and as the name implies, is the modulation of chemical and biochemical reactions through the absorption of photons, or light energy. Housed within the mitochondria, the cell energy manufacturer, are receptors capable of absorbing distinct parameters of light. Think of these receptors like any drug receptors. When we consume a prescription medication, the compound is absorbed by the body and it locates a particular receptor, and based upon its molecular design, will bind to that receptor. Once the drug binds a secondary reaction inside the cell takes place. A similar mechanism is observed when exposing the body to a particular color of light. During a treatment the light will penetrate the skin and is absorbed by this receptor within the mitochondria. Receptor stimulation with light promotes energy production, biochemical reactions, protein and growth factor synthesis, cell growth and proliferation, enhanced blood and oxygen flow, and prevents cell death. When one understands a wound environment, having the capability to address multiple cellular impairments with one therapeutic modality enhances recovery and restoration in the quality of life. How does laser therapy strengthen muscle? Skeletal muscle tissue is capable of aerobic and anaerobic respiration, requiring glycolysis, the Kreb cycle, and oxidative phosphorylation to produce Adenosine Triphosphate (ATP). Utilizing these complex pathways demands a regular supply of oxygen and nutrients, and as we participate in extensive exercise these components can become depleted. When a muscle contracts the central stimuli originates from the central nervous system transitioning to the peripheral nervous system which innervates the target muscle promoting contracture via the release of a neurotransmitter. Subsequent the release of neurotransmitters a secondary reaction cascade is stimulated which promotes skeletal muscle calcium influx inducing muscle contracture. An integrative network of neurons and biochemical pathways are responsible for muscle strength and integrity; ultimately, any modulation in one of these pathways could dramatically impact functionality. The application of low&dash;level laser therapy has been clinically proven to not only increase range of motion in patients suffering with acute and chronic pain but also reduced the overall pain experienced by the patient after one application. Delivering specific parameters of light can increase ATP production, promote calcium influx, and support proper nervous system function and neurotransmitter release. As a simple acute injury can modulate muscle function resulting in a chronic pain state, the application of laser can support muscle strength and improve range of motion by preventing tissue plasticity. How can low&dash;level laser therapy penetrate through clothing? The application of a line&dash;generated beam delivered by a low&dash;level laser device emits approximately 45 Bn photons every second. And although clothing material will demonstrate some degree of photon inhibition, the reaction at the cellular level is truly a 1 to 1 reaction, requiring only one photon to excite one electron positioned within the photoreceptor. Although producing a clinical outcome necessitates more than one photon, clothing will not serve as a completely restrictive barrier therefore clothing will enable a clinically significant amount of photons to penetrate. Why can’t I feel anything during a treatment? Low&dash;level laser therapy does not deliver a significant amount of energy therefore no friction&dash;like reaction occurs which produces heat. Further, the type of energy delivered does not vibrate or oscillate the cell therefore no photo&dash;acoustic sensation is experienced. Low&dash;level laser therapy operates at the sub&dash;atomic level stimulating electrons that are positioned around atoms, and subatomic stimulation is responsible for altering photoreceptor behavior and conversely cell metabolism. Since the biochemical response to laser therapy primarily depends on the color of light and not the output energy, the sensation experienced is similar to what is felt when consuming a prescription medication, none. Millions of biochemical reactions are taking place at this very moment without any comprehension or recognition, and low&dash;level laser therapy is applied to stimulate or enhance naturally occurring reactions, which are struggling to proceed or being overexpressed in an injured state. Even though laser has always been associated with burning and tissue destruction, low&dash;level laser therapy on the other hand operates under very similar parameters to a prescription medication, producing no macroscopic sensation but directly impacting how the body’s cells function and behave. How can a response be produced in a matter of a few seconds? The body is principally a collection of molecules organized founded upon their unique chemical charges and disposition to participate in a reaction. The manner in which a chemical reaction proceeds depends on atomic collision and if that encounter participates at the right force while having proper electron orientation. Since low&dash;level laser therapy is responsible for modulating the energy state in which electrons reside an immediate increase in the rate at which the photoreceptor functions coupled with an elevation in energy production is observed. Who uses Low Level Laser Therapy? treat certain skin disorders. Laser therapy has been studied extensively starting in the early 1960’s and has earned over 1,500 peer reviewed publications. The one limitation of this application has always been the delivery mechanism, in order to generate a coherent light source in which the photons move in parallel with each other a small dot was required, obviously not practical within a clinical setting. Although an extensive body of research highlighted the efficacy of this technology it was simply not practical. However, in 1998 Erchonia Corporation designed the first line&dash;generated coherent laser light source which enabled clinicians to treat with an appropriate photon configuration over an acceptable surface area. Although this innovative mechanism provided functionality to low&dash;level laser therapy the science in which it operates under is relatively new and presently not taught within health care related institutions. Everyday more and more physicians are observing the benefits of this technology, and as new studies are published which illustrate the therapeutic benefit of this application more physicians are embracing this technology. Presently, laser therapy is used across a wide&dash;assortment of medical disciplines to treatment a diverse arrangement of medical ailments. It is through science that laser therapy will prevail. Why not use a laser pointer? Although a laser pointer is an actual laser perhaps possessing the correct wavelength there are power considerations that are important. 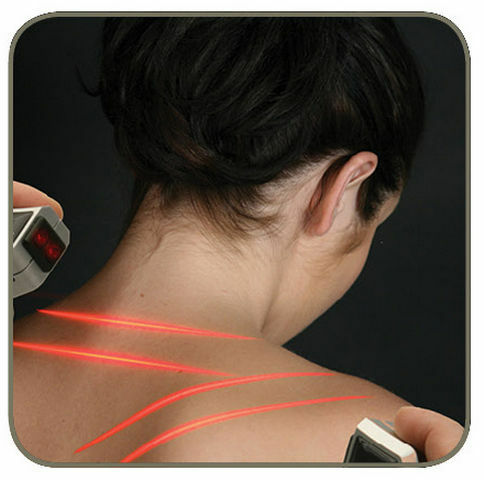 Laser therapy is very similar to the parameters required for drug success. For instance, when one consumes a medication it is the molecular structure of the drug that is the driving factor for therapeutic success. Similar to this notion is the wavelength or color of the laser device, if the color is not correct therapeutic efficacy will be lost. Another component of a medication that must be satisfied is dosage, in order to produce an outcome the dosage must be correct, too little there is no response too much an adverse event can be provoked. Similarly, laser therapy must be delivered at the appropriate dosage and a laser pointer is does not provide enough energy, conversely too much power can induce an inhibitory or damaging effect. Laser therapy must fulfill stringent parameters to display a clinical response. How far does laser penetrate? response in non&dash;laser stimulated cells implying that the penetrative effect may be independent of the photon itself. No matter the degree of complexity associated with laser therapy regarding its acute and systemic effect, what is well established is that laser therapy, within a proper clinical trial model reveals consistent positive outcomes compared to a placebo&dash;controlled group receiving a sham treatment. Low&dash;level laser therapy is a multifactorial approach and when partnered with neuromusculoskeletal techniques the therapeutic strategy can potentially address the underlining condition and results can last until the tissue is re&dash;aggravated. Clinical studies demonstrate that the positive outcomes associated with laser therapy are immediate and can last many weeks but like many therapies laser requires numerous treatments to effectively resolve the underlining etiologies responsible for producing pain. Treating the point of injury can dramatically improve blood and oxygen flow, downregulate pro&dash;inflammatory cytokines, and promote muscle activation and strength, but if the injury is not resolved inevitably these beneficial components will become overwhelmed and the pain will return. Coupled with preventive care a treatment series with low&dash;level laser therapy delivered by a trained professional can generate long&dash;term results. Tissue plasticity associated with neuro&dash;plasticity is believed to be the major contributor of an acute condition transitioning into a chronic state; therefore, laser therapy should be applied immediately following an acute injury. Early therapeutic intervention can prevent the deactivation of agonist muscle tissue, restore range of motion, and suppress injury progression. Stimulation of along the injury site as well as the muscle tissue adjacent and the nervous system innervating the extremity can ensure the damage is approach from an all&dash;encompassing perspective enhancing a patient’s recovery. Laser therapy represents a therapeutic model that can serve both an early and late intervention role, but for long&dash;term benefits and prevention of an injury transforming into a chronic state, laser therapy should be applied early and often. Why do you not just treat the acute point? A wound or injury is not an acute disorder, it is representative of broader deficiencies and therefore the therapy should respect the diverse pathophysiology. Healing requires an orchestra of proteins and cells functioning in a coordinated effort to mend the impaired tissue, an effort incorporating multiple bodily systems. For instance, proper wound closure requires the release of neuropeptides and proper skeletal muscle function necessitates the release of the neurotransmitter acetylcholine. Without stimulation or activation of the central and peripheral nervous system a major factor for injury repair is disregarded. Understanding the diverse mechanism low&dash;level laser therapy is applied at both acute and systemic regions to activate all bodily systems participating collectively for proper wound or injury healing. Even though one treatment can impact cell proliferation, protein synthesis, increase blood and oxygen flow, and activate as well as strengthen muscle tissue if the required amount of time for complete resolution these outcomes will only be temporary. With any condition a multifactorial deficiency is often responsible for the clinical pain and therefore a multifactorial therapeutic approach is required, and if one aspect is addressed leaving many more untreated, then complete resolution is not possible. This principle is common across all disciplines of medicine, if a patient suffers from a bacterial infection; the ingestion of one anti&dash;bacterial tablet will have some benefit but will have no means of eradicating the entire bacterial colony. Although the literature supports that one treatment of laser therapy can generate a significant improvement in pain for long&dash;term pain relief multiple treatments are essential.